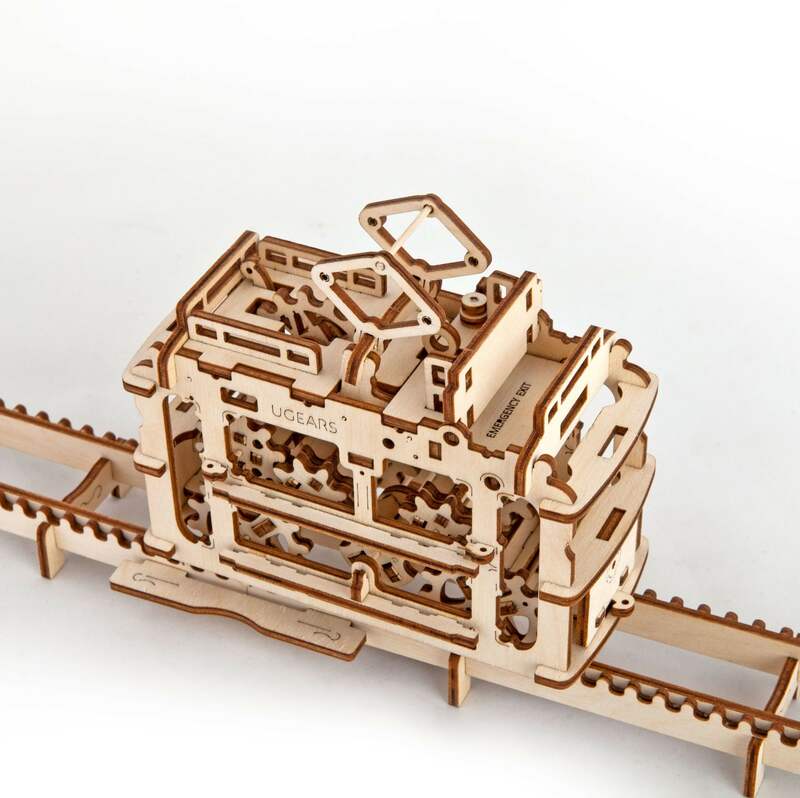 Ugears - Tram With Rails - Laser Cut Wood - 154 Parts. 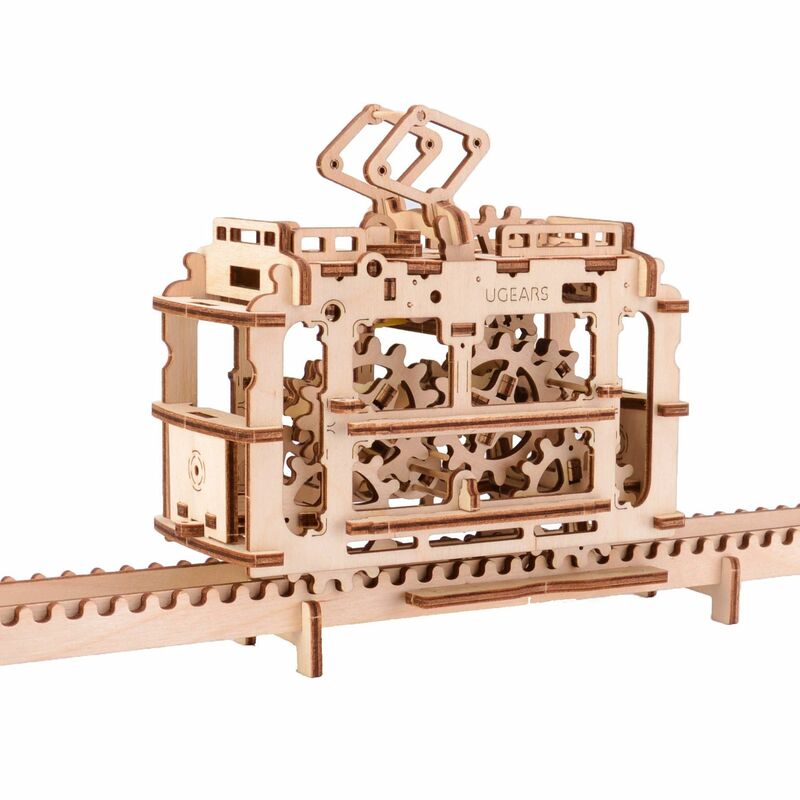 Home > Motion Models > Ugears > Ugears - Tram With Rails - Laser Cut Wood - 154 Parts. 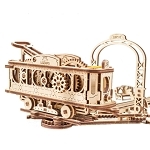 Tram (also known as tramcar or streetcar) is one of the oldest types of urban transportation. 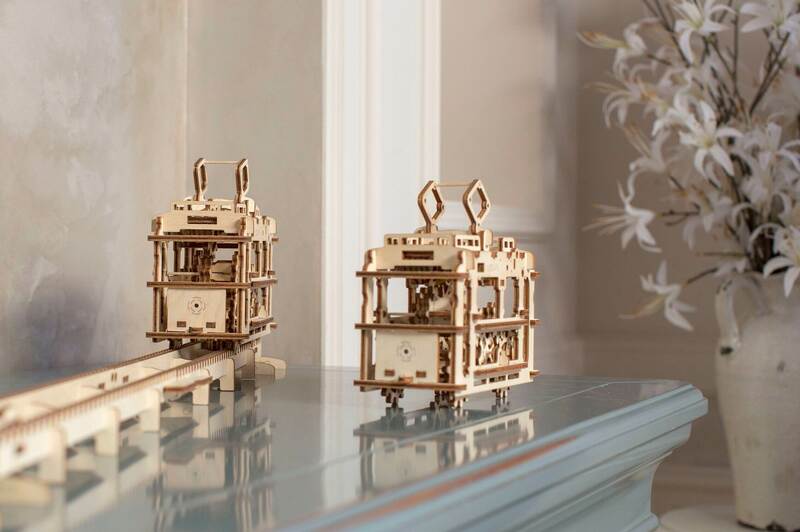 A famous San Francisco cable car was put on rails in 1873 and works to this day! 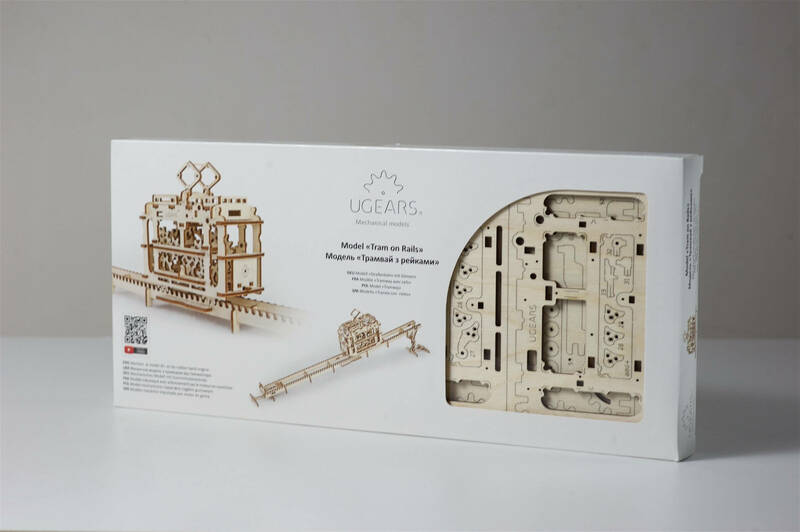 UGears tram is inspired by the first street-cars and funiculars, and is probably the most romantic model in our portfolio – apart from a ton of built-in retro flair, it can carry a love message to the other side of the table! 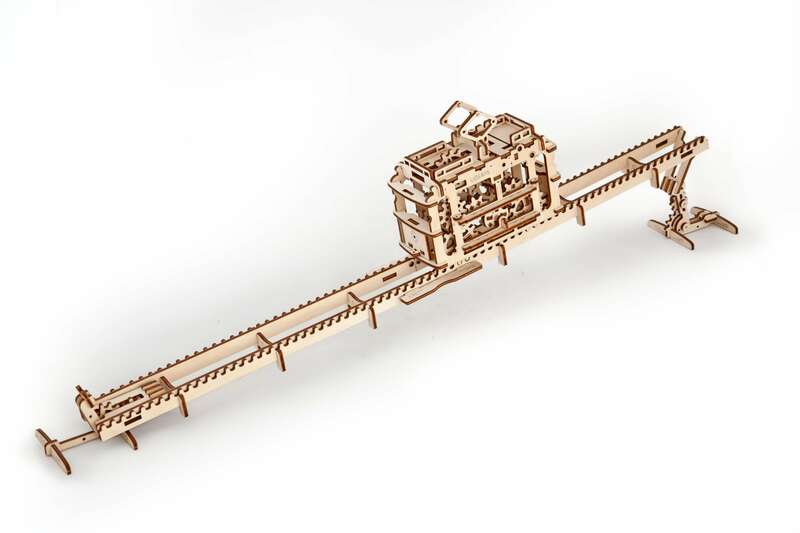 The model is propelled by a rubber band engine (tram mode) or can be pulled by gravity (funicular mode) when one end of the rails is tilted up with a special lever. 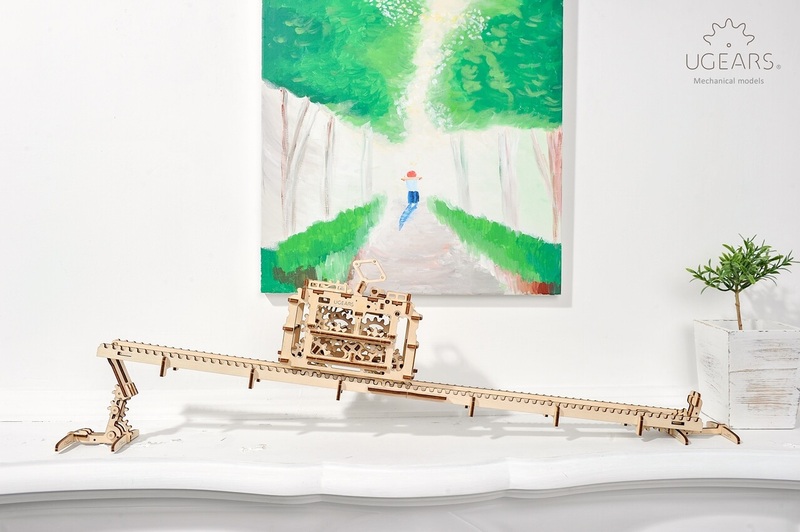 Levers on both ends of the rail can be used to elevate the model above the ground, creating a ‘bridge’. 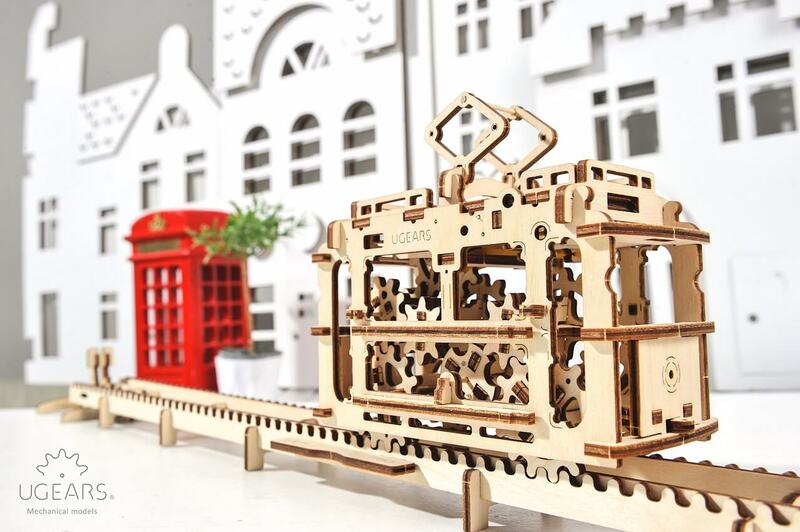 Tram’s pantograph functions as a lever which pushes out the wind-up wheel of the rubber band engine. 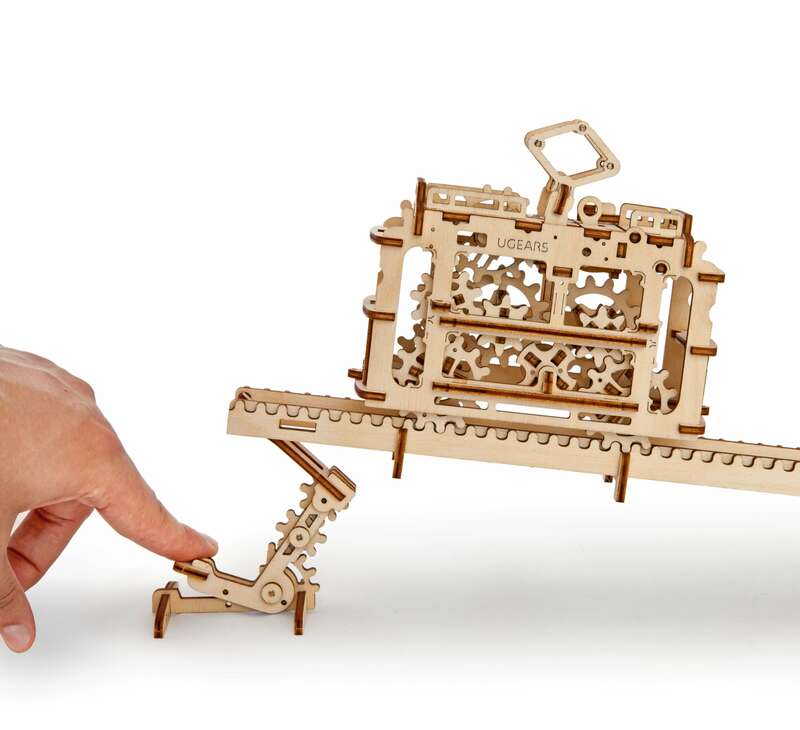 There’s also a start lever, direction shifter, a brake lever, and even an emergency exit to the roof. 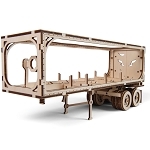 And of course, as in most of our models, there’s a storage space for something special for a person on the other end of the route! 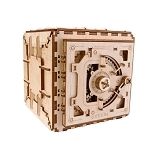 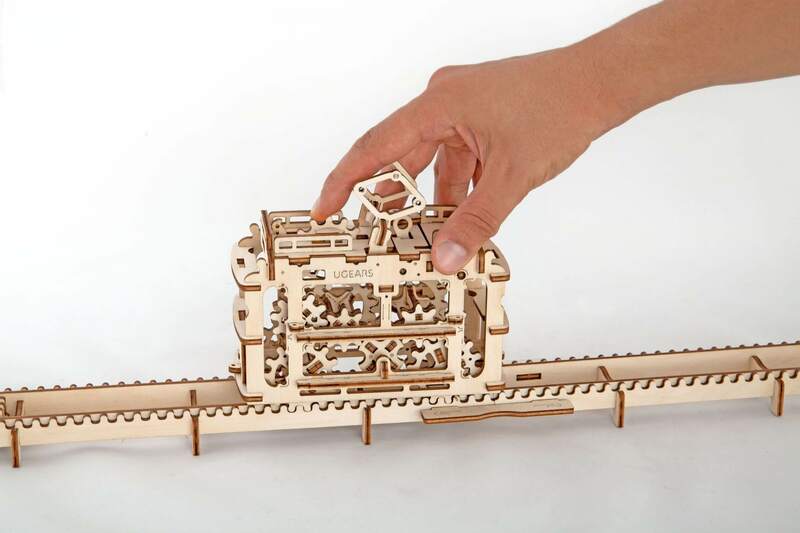 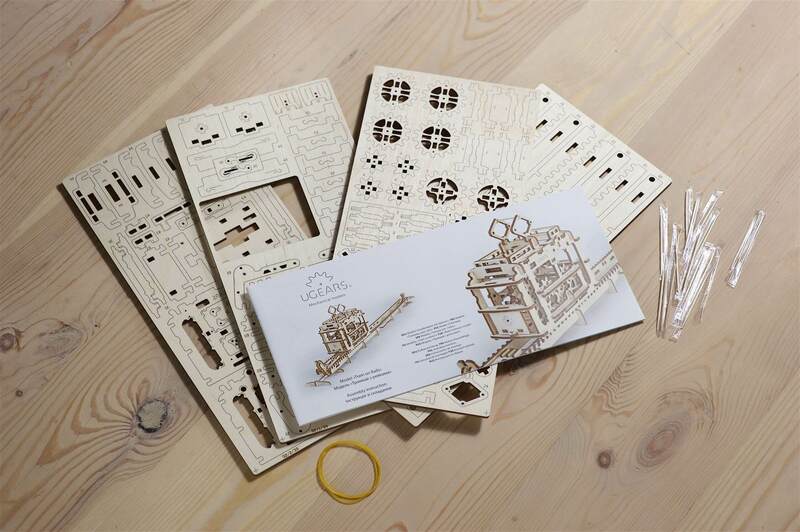 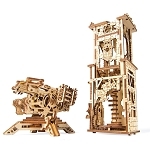 Ugears - Mechanical Puzzle Tractor - Laser Cut Wood - 97 Parts - Runs on its own!